Two more days till Valentines Day and I am still not caught up with my 14 Days of Handmade Valentine Crafts. I will be posting 3 separate projects today so you will still have time to make it before Valentine's Day. Day 10 is a Crepe Paper Heart Wreath project. This is very fast and easy to do. You just need 3 materials in this project. 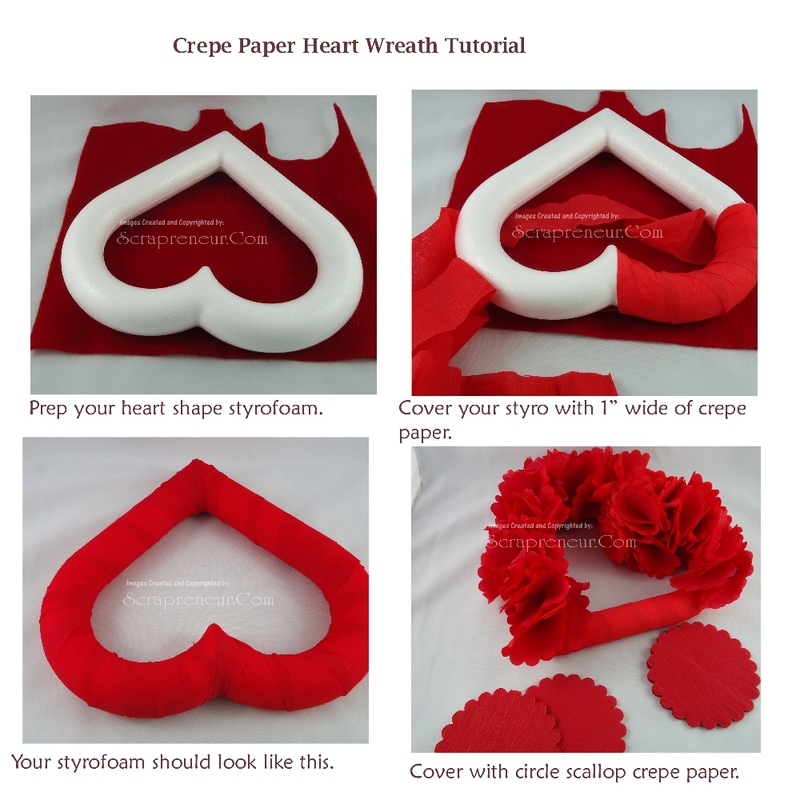 A heart shape styrofoam + crepe paper + glue. That's all! 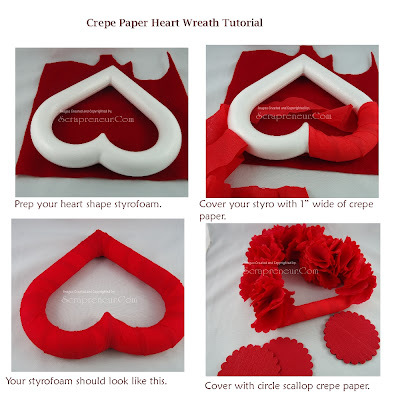 Just follow the step-by-step photo instructions below and you will be able to adorn your house with this beautiful handmade crepe paper craft. 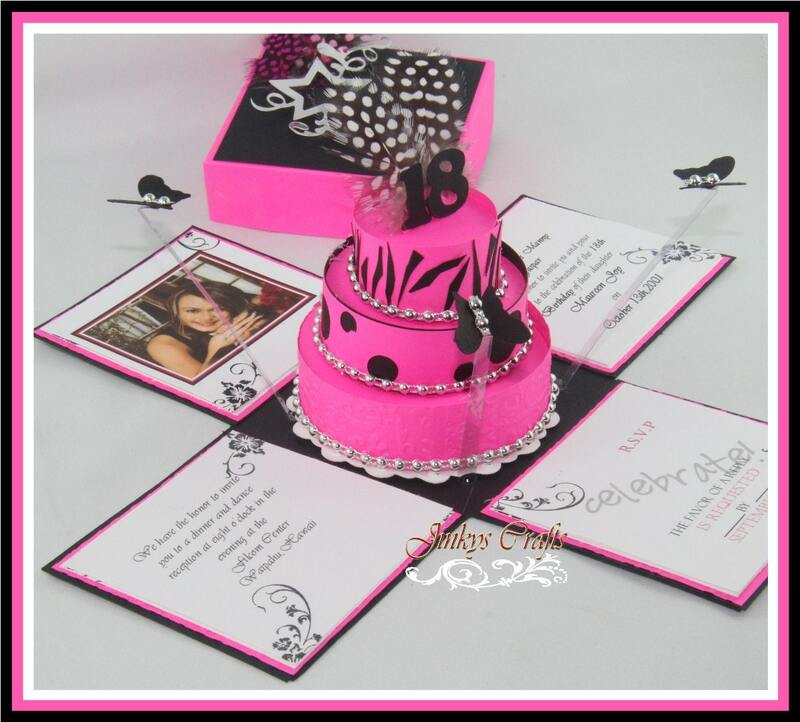 You can also use felt paper or fabric on this same project. 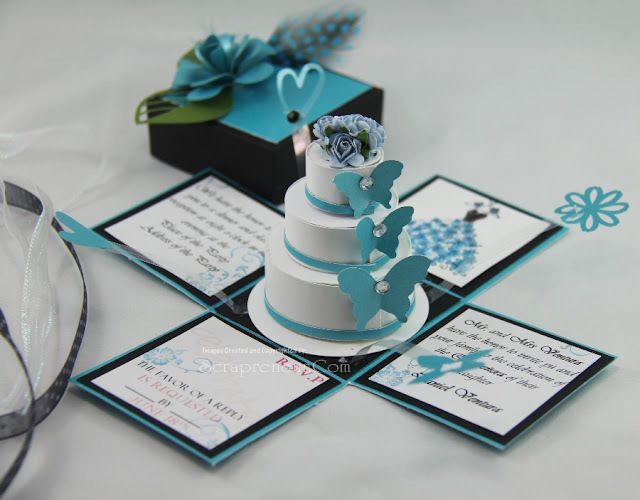 If you do not have a puncher, just print a template for a circle scallop or just a plain circle. Trace it and cut it. 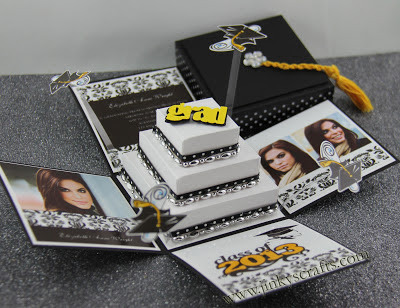 There are circle templates available online that you can easily print. Otherwise, you can get a glass or cup and trace a circle into your paper. 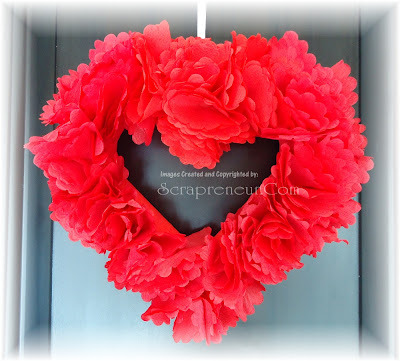 You can hang this Crepe Paper Heart Wreath on your door and you will be able to feel the spirit of Valentine's Day right away.